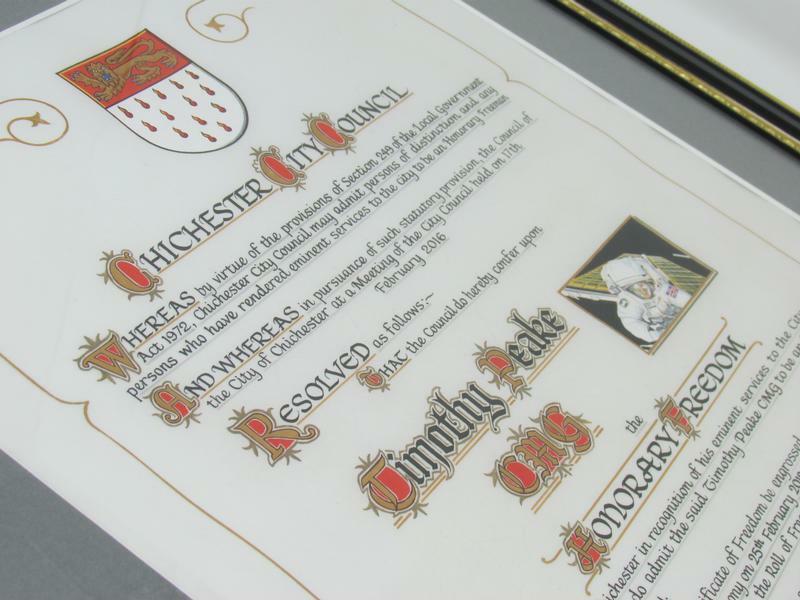 Shaw’s civic and ceremonial department is delighted to have provided a hand-illuminated freedom scroll to Chichester City Council for presentation to British astronaut Tim Peake. Major Peake was awarded the highest honour a local authority can bestow during a ceremony at Chichester Festival Theatre on 25th February 2018. Mayor Peter Evans presented the Chichester-born and raised astronaut with his scroll, thanking him for raising Chichester's profile in UK and serving the wider world by 'broadening mankind's knowledge in the sciences'. 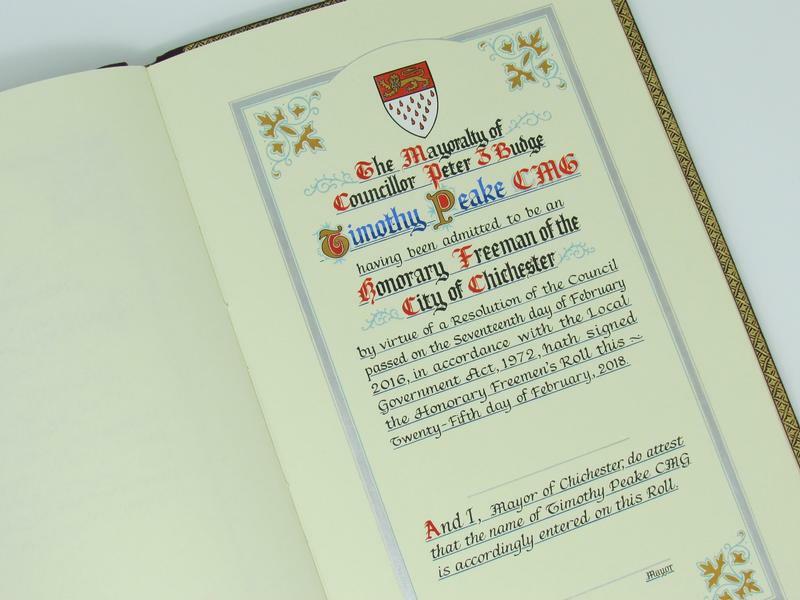 Major Peake now has an entry in Chichester's prestigious Roll of Honorary Freemen - the heraldic artistry for which was also supplied by Shaw's. More information about Shaw's hand-illuminated traditional freedom scrolls - including other previously commissioned scroll examples - can be found here. Shaw's 2018 Civic and Ceremonial brochure will be available for download shortly.